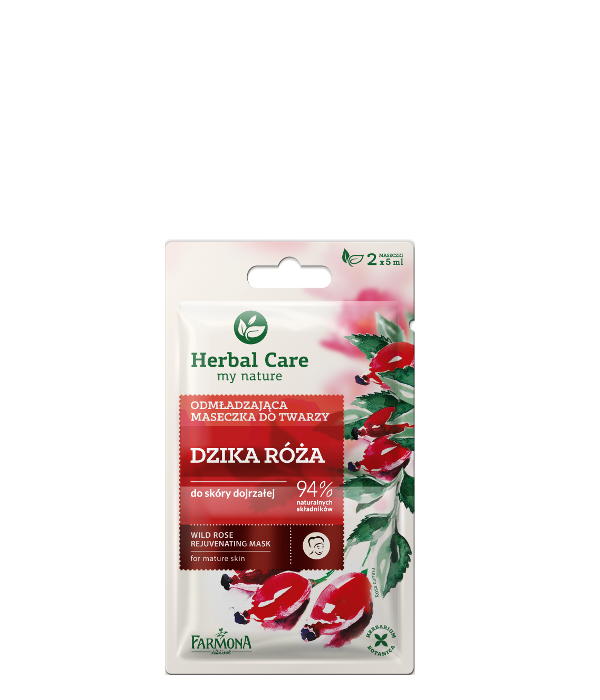 Our wild rose mask is developed for care of mature skin. We composed it with valued for centuries natural plant ingredients that improve skin elasticity, reduce wrinkles and prevent against dehydration. Day by day the skin becomes more smooth and looks younger. Creating this formula, we used all of our experience and rich herbiculture traditions, so we are confident about the results. Usage: apply the mask to cleansed skin, neck and chest. Leave without rinsing. Anti-Aging Complex – stimulates synthesis of collagen and smoothes the epidermis. Aqua (Water), Ethylhexyl Stearate, Cetyl Alcohol, Isostearyl Isostearate, Potassium Cetyl Phosphate, Cetyl Behenate, Behenic Acid, Glycerin, Hydrolyzed Caesalpinia Spinosa Gum, Caesalpinia Spinosa Gum, Butylene Glycol, Sorbitan Laurate, Hydroxyethylcellulose, Acetyl Dipeptide-1 Cetyl Ester, Polyacrylate-13, Polyisobutene, Polysorbate 20, Propylene Glycol, Rosa Canina (Rose) Fruit Extract, Sodium Hyaluronate, Hyaluronic Acid, Jania Rubens Extract, Diazolidinyl Urea, Iodopropynyl Butylcarbamate, Phenoxyethanol, Ethylhexylglycerin, Triethanolamine, Disodium EDTA, BHA, Parfum (Fragrance), Citronellol, Geraniol.